Followi ng the success of Judge Dredd, IDW and Rebellion/2000 AD have expanded their thriving relationship with the addition of Rogue Trooper to their publishing slate! IDW will launch an all-new Rogue Trooper series in 2014, and also offer newly colored re-presentations of past Rogue Trooper comics, too. Co-created by Gerry Finley-Day and renowned artist Dave Gibbons in 1981 for 2000 AD, Rogue Trooper became a showcase for some of Britain’s top artistic talent. In addition to Gibbons, Steve Dillon, Colin Wilson, Cam Kennedy, Bret Ewins, and Chris Weston have contributed art to the popular strip. A future war has poisoned the entire atmosphere of Nu-Earth, prompting one side to create Genetic Infantrymen: blue-skinned soldiers who can breathe the toxic air, equipped with bio-chips to record their personalities in their final moments for eventual re-corporation. But a traitor sold the G.I.s out, and all but one were slaughtered. Now he stalks Nu-Earth on a mission of revenge, aided by his dead friends now “living” in his gun, helmet and backpack. He is the last G.I.—the Rogue Trooper! Classic Rogue Trooper strips will be seen in a whole new light in full-color comics and collections with hues provided by colorist Adrian Salmon, best known for his work on Doctor Who and Judge Dredd. The all-new series in the offing will follow the tradition of IDW’s successful Judge Dredd series by Duane Swierczynski and Nelson Daniel. Creator names and details will follow at a later date. With a rich history to build upon, IDW will add to the proven franchise, bringing Rogue Trooper into the 21st century for an all-new audience. Bullet to the Head, which opened this past weekend, was taken out behind theaters and shot opened with about $4.5 million despite being in 2,400 theaters. The weekend of the Super Bowl tends to be tough in movie theaters, but this Sly Stallone movie was an impressive stinker. The movie is the worst opening in over 2,000 locations so far this year. Bullet to the Head‘s audience was 60 percent male and 81 percent over the age of 25, and they awarded the movie a poor “B-” CinemaScore. The movie averaged $1,872 per theater. We’ll quickly see theaters cutting screens with such a poor showing. The movie is based on a French graphic novel written by Matz with art by Colin Wilson. It was published in the U.S. by Dynamite. I had a feeling the movie would debut poorly as the hype from the comic publisher was none and buzz in generally in comic geekdom was non-existent. There’s a chance the movie will do a little bit better next week as it’s targeted male audience heads to theaters post Super Bowl, but it’s not looking good. I’m pretty sure we can pronounce it D.O.A. 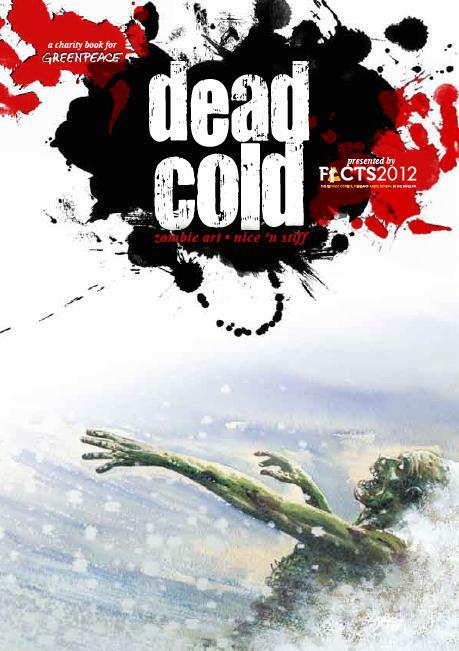 The cover will be provided by convention Guest Of Honor Charlie Adlard, who also provided an introduction as well as picked Greenpeace as beneficiary to the proceedings of this special edition, called “Dead Cold… zombie art”. 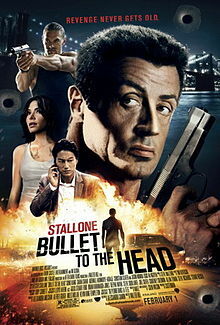 Sylvester Stallone‘s movie Bullet to the Head is based on the comic book published by Dynamite Comics and created by Matz and Colin Wilson. Rocketeer Adventures Vol. 2 #1 Coming in March! San Diego, CA (January 24, 2012) – The second all-new, all-fantastic Rocketeer Adventures series launches into stores in March! Each extra-long issue—boasting 25 pages of story and art— will feature covers by Darwyn Cooke and Dave Stevens. The first issue’s line-up includes Peter David, Marc Guggenheim, Sandy Plunkett, Stan Sakai, and Bill Sienkiewicz, with Arthur Adams supplying a pin-up. Other contributors to the series include Kyle Baker, J. Scott Campbell, Eric Canete, Paul Dini, Michael Golden, Dave Johnson, David Lapham, John Paul Leon, Bill Morrison, Louise Simonson, Walter Simonson, Chris Sprouse, Tom Taylor, Matt Wagner, Colin Wilson, and more. Rocketeer Adventures is in the current issue of Diamond Previews. As with the first series, a portion of the profits from Rocketeer Adventures will be donated to the Hairy Cell Leukemia research. Dave Stevens, the creator of The Rocketeer, died of the disease in 2008 at the age of 52. ROCKETEER ADVENTURES VOL. 2 #1 ($3.99, 32 pages; full color) will be available in March 2012. Diamond order code: JAN12 0408. Your First Look at Moon Knight #3! Marvel is pleased to present you first look at Moon Knight #3, from the Eisner-Award winning team of Brian Michael Bendis and Alex Maleev! If you thought you had Marc Spector all figured out, guess again! The chess pieces of the Los Angeles underground continue to move as Moon Knight gets closer and closer to finding out the city’s true kingpin of crime. But could an intervention from Bullseye throw a wrench in Spector’s plans? Has Marvel’s deadliest assassin returned from the grave, and if so why is he hunting Marc’s closest ally? Find out this July, in Moon Knight #3! This June and July, celebrate the release of Marvel Studios’ anticipated summer blockbuster Captain America: The First Avenger with the I Am Captain America series of variant covers! Featuring all-new artwork from a superstar cast of comics’ greatest creators – including Marvel’s own Chief Creative Officer, Joe Quesada, Marko Djurdjevic, Alex Maleev, Skottie Young, and Ed McGuiness! These I Am Captain America variant covers honor real world American heroes of every creed and calling that would be sure to make Steve Rogers himself proud. Marvel urges retailers to check their orders on these hotly anticipated variant covers as Captain America continues to generate major mainstream interest in the months to come. No fan will want to miss the chance to see the First Avenger in a whole new light when Marvel shouts “I Am Captain America” this June!